It's a snow day! With snow piling up around the D.C. area, local bars and restaurants have taken to Twitter to share deals in an attempt to get you out of the house... and in front of a plate of nachos, bowl of soup, or pint of beer. "It's officially a #SnowDay & we are OPEN at NOON for BURGER Night! 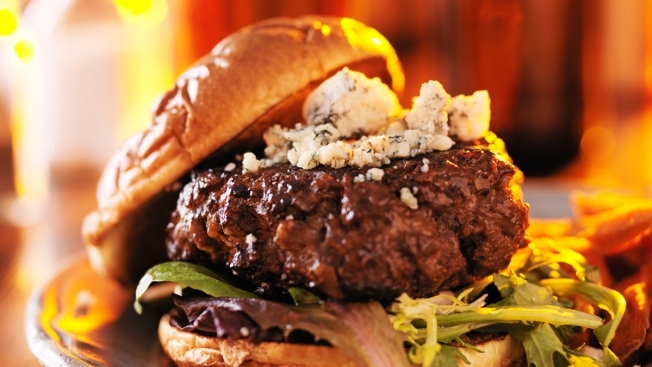 1/2-priced BURGERS all day!" "Where can you get $4 @dcbrau Public Ale @PortCityBrew Optimal Wit @dbbrewingco Vienna Lager? If you live in 20017 or 20018, here! #brookland"
"Snow Day Specials Start at 5: free mug of soup, $6 ginger, honey & Old Grand Dad Hot Toddy, Happy Hour All Night! See you at 5!" "Today's FREE (not-on-menu) flavor is #DCCupcakes VANILLA SUNSHINE! Order it by name & it's FREE! 100/location, 1/customer"
"The Pint will open at 10am for brunch to enjoy this (it's going to, they swear-) snow day! Down bar opens at noon. Free cocoa for kiddos!" "It's a snow day!! We'll have snow day drink specials all day @RedRocksHStreet @RedRocksOT @RedRocksARL & brunch @RedRocksDC!! #snowdayagain"
"Show us your gloves and get a free house donuts. Told ya it would be easy." "Everyone wants an ALL DAY #SNOWDAY #HAPPYHOUR, right?! TC will be open & we have all day happy hour. C'mon over after the snowball fight..."